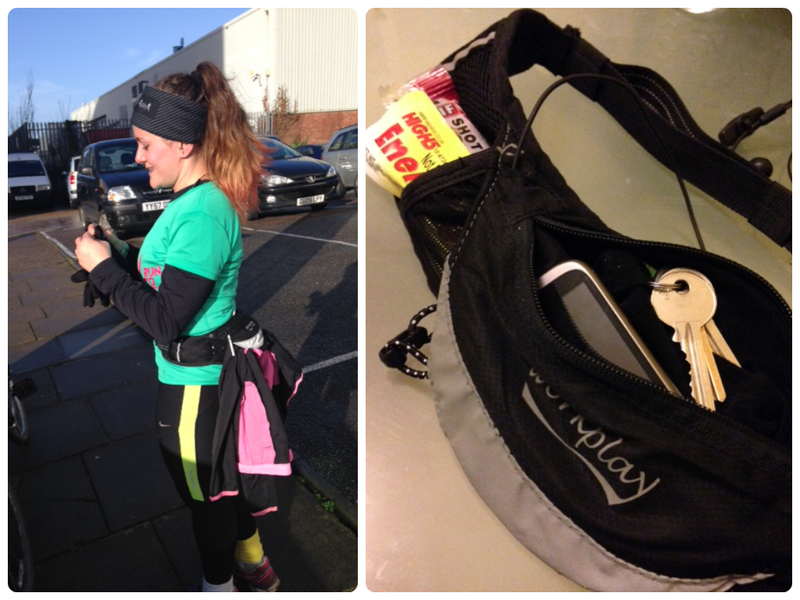 Unlike many other running waist bags, the FleetfootII is cleverly designed to fit the curves of a woman’s body and sit firmly in place whilst running – so no annoying bounce, riding up or twisting round as you tick off the miles. I’ve worn it on all of my long runs with RunBrighton, along the seafront and across the downs, carrying gels, ibruprofen gel, my phone, jacket and keys, and have had no problems whatsoever with it. 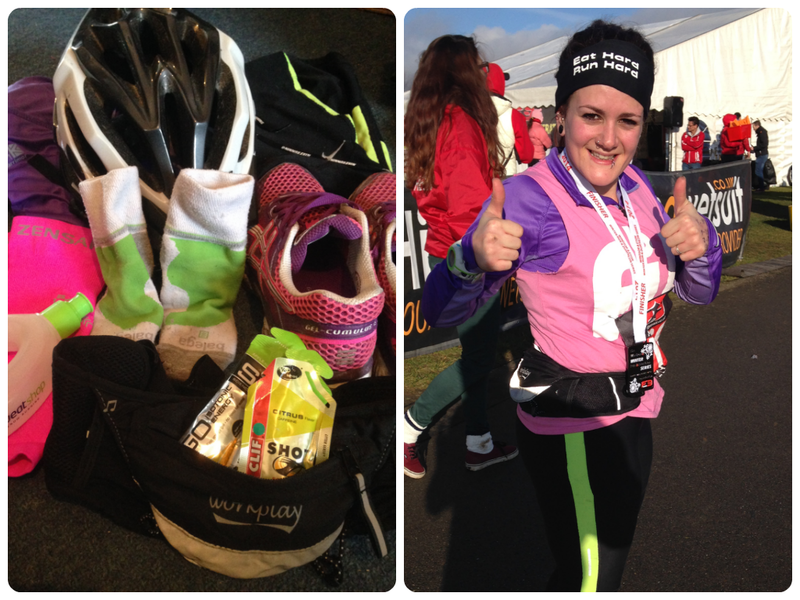 In fact, it’s one of the bits of kit that I know I’m definitely wearing for the marathon, along with of course my trainers and running socks – the rest is up for discussion as the weather changes over the coming months! There’s a hole for earphones and my favourite thing about it is the way you can quickly hook your running jacket through the back of it if you get too hot – I hate tying my jacket round my waist when running as it always rides up. With it tucked inside the back of the FleetfootII I don’t notice it at all. At £29.99 the FleetfootII does come in at the higher price range of running bumbags, but I reckon it’s a small price to pay for the thought that’s clearly gone into the design – it’s like they’ve realised all of my running-faffs and created something to banish them forever. You can find out more about the FleetfootII and buy one for yourself on the Workplay Bags website. Oh yeah, and they also do a shed load of other brilliantly designed bags for active women – the Goddess III Gym, Travel and Training Bag is next on my list! *Yes, the word ‘jubblies’ did indeed escape my lips. I’m not even sorry. Disclaimer: I was given the FleetfootII running waist bag from Workplay Bags for free. The glowing review is straight from my mouth and no one else’s, having tested the hell out of it over the last few weeks – no word of a lie. This bag is EPIC. Have you tried the FleetfootII, or another good running bag? If not, what have you stuffed down your bra instead?